Muhammad Ali and I became great friends. When it got to the point where he couldn’t speak, I'd joke with him and ask for a rematch. 50BOLD: As far as I’m concerned, The Rumble in the Jungle was your best fight. You believe, however, the Ron Lyle fight was your most memorable one because he hit you so hard, you didn’t even know your whereabouts! 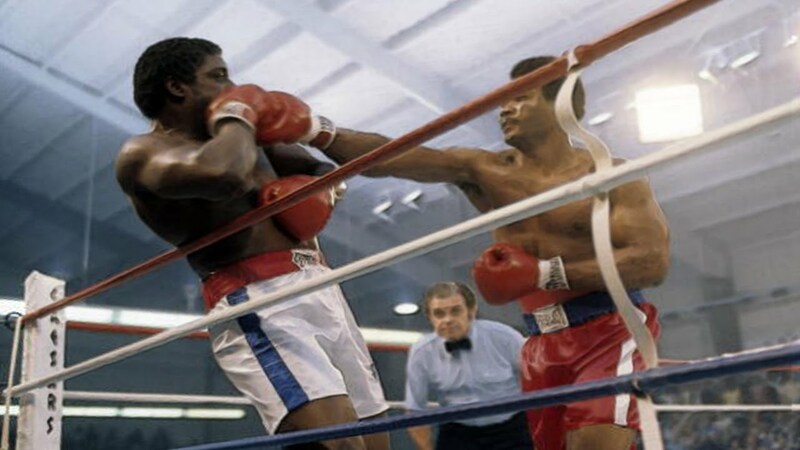 FOREMAN: Yeah, it wasn’t like the fight was a rope-a-dope, it was just a plain old power-dope! I was beaten up by Lyle, that man beat me up. I think Lyle just got tired of beating me up and fainted! 50BOLD: So the first part of your boxing career lasted for eight years then you decided to hang up the gloves and become a preacher. 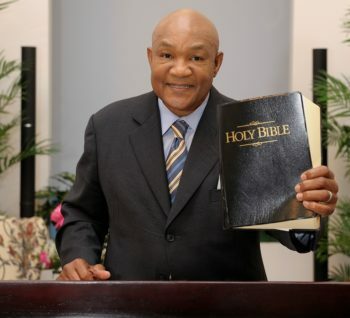 FOREMAN: Yes, for ten years I became a full-time evangelist for the Church Of The Lord Jesus Christ in Houston. 50BOLD: What made you decide to go down a spiritual path? FOREMAN: Well I had an experience in my last fight of ’77 with the boxer Jimmy Young. Once the match was over, I went back to the dressing room and unexpectedly had a near-death experience; then in a split second, I was alive again. I was told I had collapsed on the floor. After being picked up, I glanced at my forehead and saw blood oozing down. I said to the doctor who was caring for me at the time, “Move your hands, the thorns on his head are making him bleed!” I saw blood on my hands, and I began to scream that Jesus Christ was coming alive in me. At the time, I did not believe in religion. I was brought up with people who had nothing, and every time they would have less than nothing, they would go and pick up the Bible and stuff. I would laugh at them. So when the epiphany happened to me, I was reciting the Bible, and screaming, “Hallelujah! I am clean; I am born again!” Man, I was tied down to a stretcher and taken to the hospital. For ten years after the religious episode, I did not even make a fist. I did not box or involve myself in anything related to boxing. I became an evangelist. I traveled all over with people who referred to me as Brother George, Preacher, Rev. and so forth. Religion took over my life. 50BOLD: What made you return to boxing? FOREMAN: A most profound event: I WAS BROKE! FOREMAN: I looked around one day I had all these kids; you remember I named all my boys George? The only thing I knew how to do was fight. I really didn’t want to come back to it which is why I had always explained to my kids about the importance of an education. You gotta have something to fall back on and it can’t be a million dollars because one day you’ll look up, and it’s gone. I had to go back to boxing. I didn’t like it, but I had to do it. I fought my way back into the contention. I had two shots at the title and then eventually won it at the age of 45. 50BOLD: I remember that entire period of your comeback. I also remember that in your second stint as a boxer, your demeanor completely changed. You were more affable and communicative. 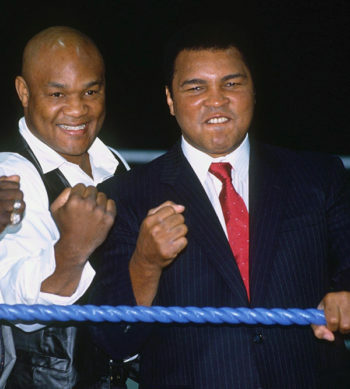 People used to say…”That George Foreman never smiles, he is standoffish and unfriendly!” Why the change in persona? FOREMAN: You remember I told you about the fella in Houston, TX. who approached and asked me, “How could you do what you did when the brothers (John Carlos and Tommie Smith) were doing their thing?” It sounds like a simple thing, but his comment hurt me; it bothered me, you know. I had represented my country and for someone to come up to me and say something like that to me; I decided that no one would ever come up to me and say anything like that again. 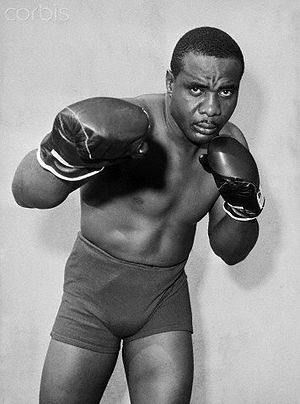 When I began boxing, I looked up to a boxer named Sonny Liston as a role model. Sonny was once the heavyweight champion. I patterned myself after his way of interacting with the press and people. Man, Liston would look straight through you; I wouldn’t even look him in the eye. Back then, all I cared about was fame and fortune and didn’t think I had to be nice to get it. I didn’t care if people cheered or booed me. I was going to be heavyweight champion of the world! During my second time around in boxing, I had spent the prior ten years as a preacher. I remember, I weighed about 315 pounds, sported a big beard and preached on street corners. I was unrecognizable. No one knew I was George Foreman, but people were kind to me; they did not care who I was. They would say, “Let Biggen have that last piece of meat,” or they would offer me a more comfortable seat on a plane; I received many acts of kindness. I always thought you had to be famous for people to be kind to you. And when I became a celebrity again, I signed every autograph; I agreed to every photograph request. I decided to pay back all those acts of kindness. I couldn’t make up for the disagreeable person I was in the past, but I could change my attitude for the better moving forward. 50BOLD: Well that second time around was the charm. People embraced you. You could do no wrong. FOREMAN: Yeah, and I love them! 50BOLD: Okay. I want to get your thoughts on the state of boxing now and especially with the emergence of Mixed Martial Arts. 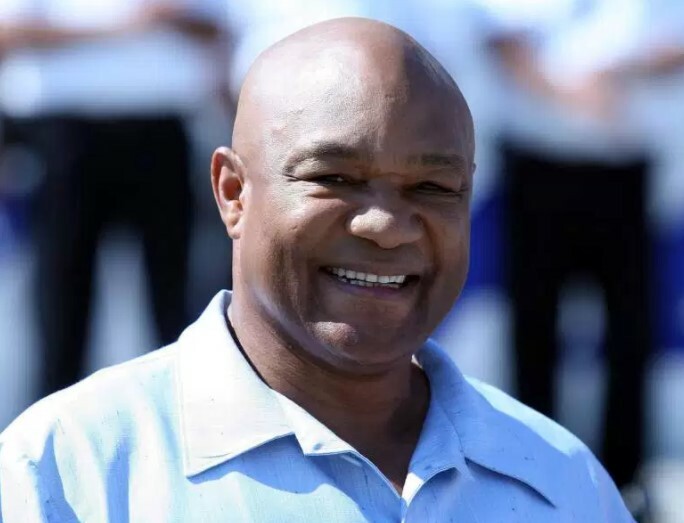 FOREMAN: Boxing is a strange creature. The emergence and the prominence of boxing in this country began with John L. Sullivan (the first American boxing champion). And after Sullivan, the sport sort of fell silent. People then started talking about the fighter Jack Johnson. After Johnson, things sort of died down until Jack Dempsey. After the Dempsey era, there was the Joe Louis era. Again, things kind of fell silent in boxing until Cassius Clay (aka Muhammad Ali) came on the scene followed by Mike Tyson, and now Floyd Mayweather. What I am getting at is that boxing has its hot times, and then there is a lull. During these lulls, any sport can take its place whether it be MMA or whatever. 50BOLD: What do you think about the current status of boxing’s heavyweight division? You hear more about the lighter weight class stars like Floyd Mayweather, Manny Pacquiao, etc. but you don’t hear much about the heavyweights. FOREMAN: The heavyweight division is dead now, but there will be another time when it will heat up again. Just like I said, there are high times, and low times for boxing. I just want to continue to live so that I can see the next high time. 50BOLD: You brought up Ali earlier. Did you and he become friends? 50BOLD: Let’s talk about your present-day activities: You have a new NBC-TV show now, Better Late Than Never; how did you get involved in the project? Is the experience fun or work? FOREMAN: Well, Henry Winkler, one of the show’s producers, called me up to discuss the show; I had met him years earlier. I’ve always loved him because he is a very nice guy. We talked about me doing the show and traveling. I admitted that I had never been away from home for a month’s time and I had some concerns about doing so. My wife, however, urged me to go. Now, I am having the time of my life! 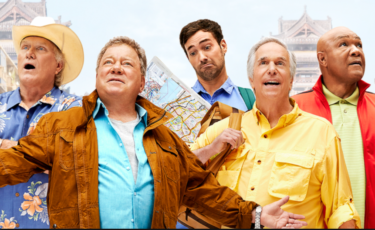 I’m working with a great bunch of guys: Henry Winkler, William Shatner (the smartest human being I know), Terry Bradshaw (the craziest), and Jeff Dye. These are truly some of the happiest days of my life. I am doing things that I didn’t think I would ever do. Traveling all over and seeing the great wonders of the world, which is something I would never have taken the time to do on my own. 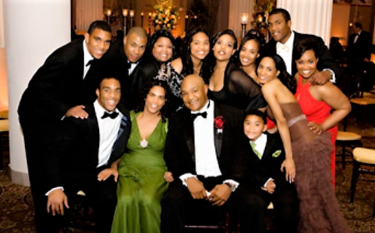 50BOLD: What keeps George Foreman up at night? FOREMAN: Well, I have ten kids. And once you start having these kids, you never really sleep. You are always thinking about and concerned about them. I have to include my 14 grandchildren as well, all of whom call me George. So they all keep me up at night. 50BOLD: How do you stay in such great shape? FOREMAN: Well, I sacrifice to stay in shape. I sacrificed to be a U.S. Olympic gold medalist and to also be the heavyweight champion of the world. I’ve learned that to stay alive, and in shape, I had to sacrifice by excluding certain foods from my diet. FOREMAN: I do not eat ice cream. I have given up eating meats and starchy foods like bread and potatoes. I removed these foods from my life. But the sad thing about all this sacrifice is that even my grandkids can whup me now! Previous articleHave questions about medical marijuana?